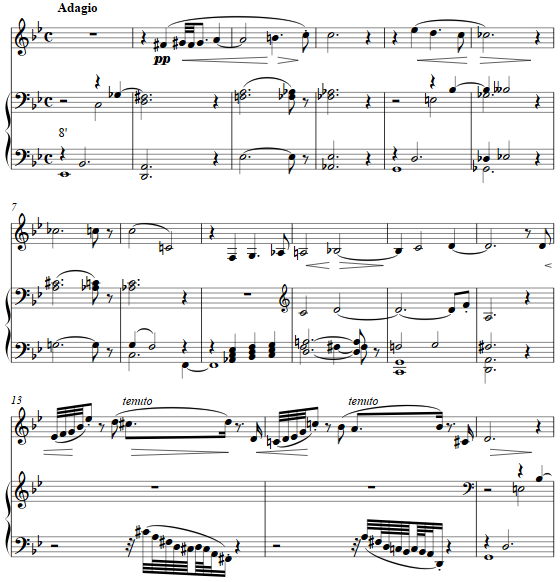 As musical sibling to another sonatina in a set for solo instruments and positive organ, this for clarinet and organ is in three connected movements. 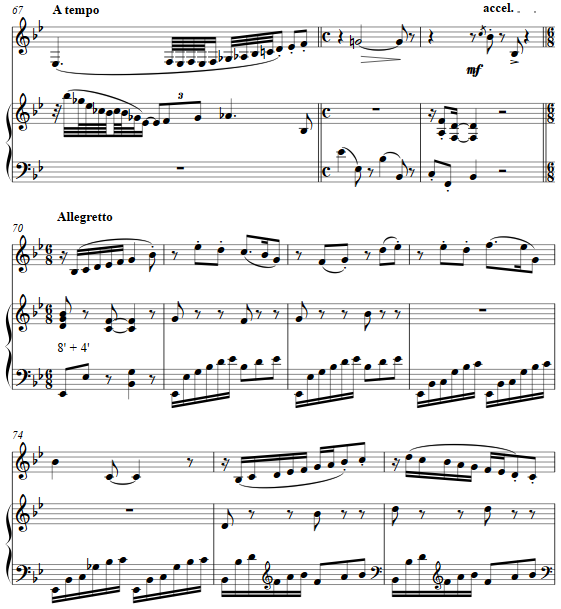 The first movement is an adagio of chromatic changes throughout. Fioratura in both instruments alternates with chord successions, tonally wide ranging yet consonant. The second movement is up tempo from the lyrical and meditative first, in a jaunty 6/8 and with episodes of contrasting tempi and colors. 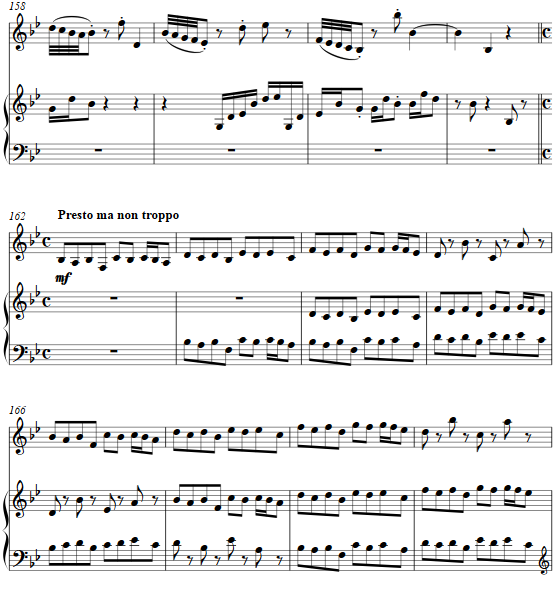 An abrupt cadence in the 6/8 gives way to a square duple meter marked Presto ma non troppo, as the instruments engage in canonic and contrapuntal dialogue, with a coda of simple scales for each player in alternation.